This is one of the most unique tours. 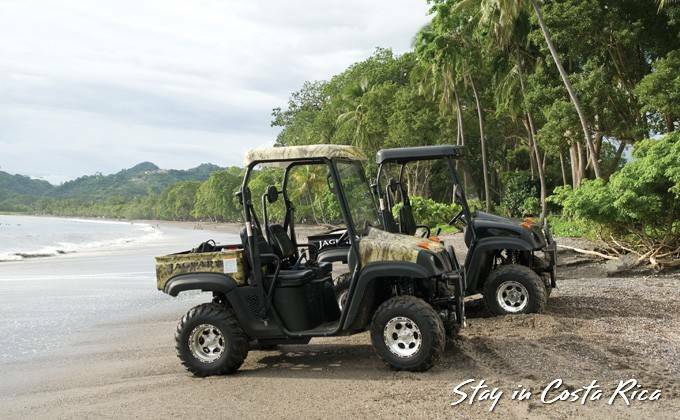 During the Southern Golden Coast full day tour by UTV you will cross rivers and go through deep forest up to the golden beaches of Tamarindo. Our guide will show you where to spot animals such as howler monkeys, eagles, tropical birds and iguanas. 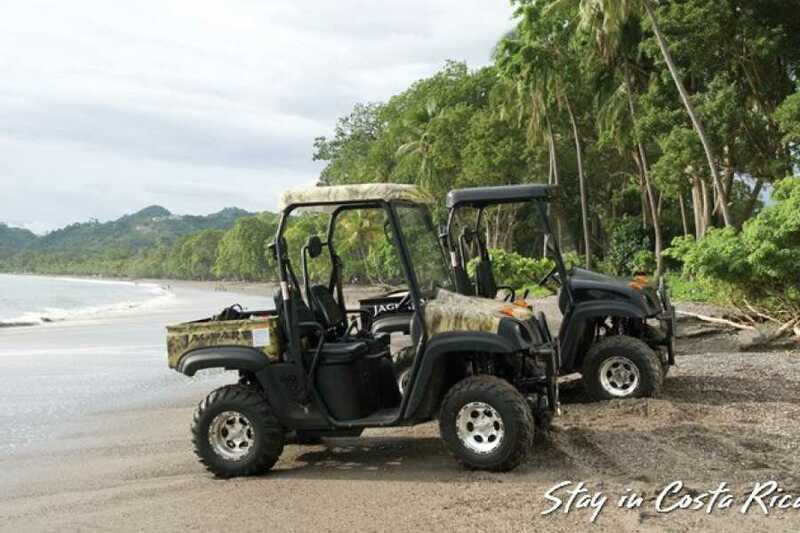 You will get to enjoy to enjoy forests, the feeling of crossing rivers and beaches with pristine water like Avellana, Playa Lagarto and Playa Marbella. We will also take you to a private farm, with a lovely and large pool with ocean view. It will be a surprising full day trip to remember.